Google Hangouts chat platform is created by Google. The google hangout chat app enables users to phone calls, make video calls, and send texts to real phones. It is ranked as one of the most all-encompassing platforms created by Google. Because it includes Google+ Messenger, Hangouts, Google Talk and even parts of Google Voice. Features from these platforms are all integrated into the google hangout. 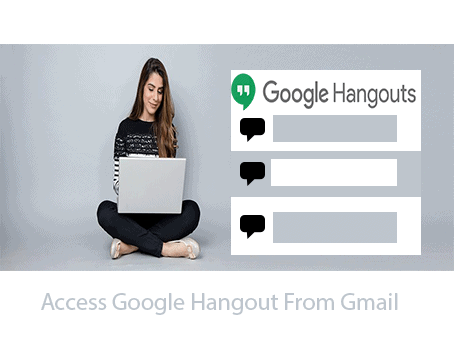 On Google hangout chat you can initiate a conversation using the phone number or email address, and also name on your contact list. Like most Google Inc application such as youtube, google drive. The app is linked with the Gmail account and can be accessed on the side of your Gmail account just like youtube. 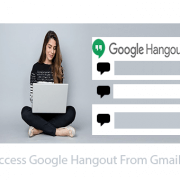 To use Google Hangout chat from Gmail, It must be enabled. Google Hangout is supported when the right settings are put on. Click (gear icon) on the upper right-hand side. Click to switch Chat on. After turning on the Google chat feature turned on in Gmail, you can access chat under your email folders on the left side of Gmail. In your email folder, Locate three small buttons on the left pane in Gmail. Locate and click on the chat bubble in the menu. If after clicking it, the conversations immediately disappear, click again to bring them back. Just above the menu buttons are your most recent conversations. Click one, and the message box will pop up. Click on the chat bubble in the menu. Just above the menu buttons are your most recent conversations from Google Hangout chat. Click one, and the message box will pop up.